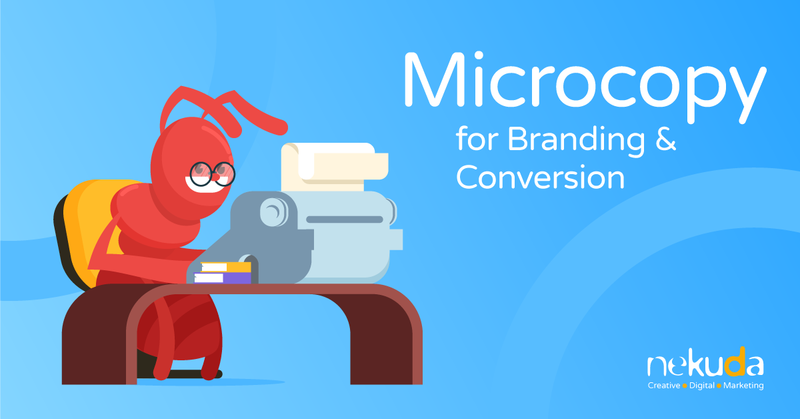 Microcopy – How to Use Microcopy for Branding & Conversion? 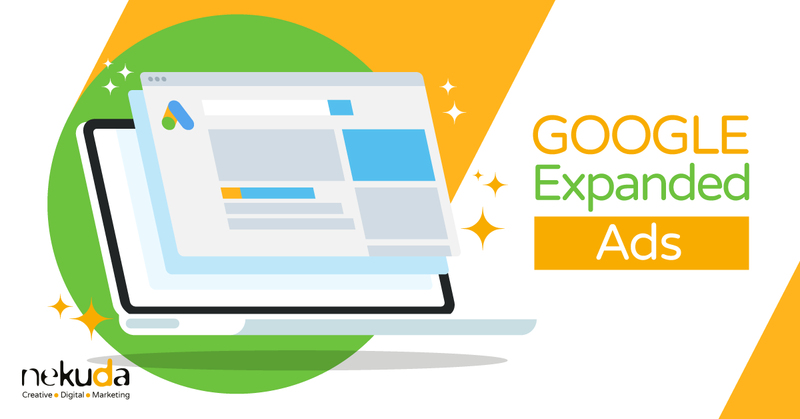 Many brands today understand that microcopy cannot be separated from a great user experience in a website or an app, and they already make a connection between microcopy and the websites’ conversions rate. It makes sense, since all humans use words to communicate with each other. Researches show that when we interact with a website or an interface, we are aware that we communicate with a machine but still expect a human treatment; we want compliments, explanations and even a sense of humor. Therefore, microcopy has become a very important factor in improving the usage, personalization and even the branding of different companies. To summarize, microcopy are short copywriting sentences or just single words used to help, guide and give a feedback to users in everything that has to do with taking an action in an interface. 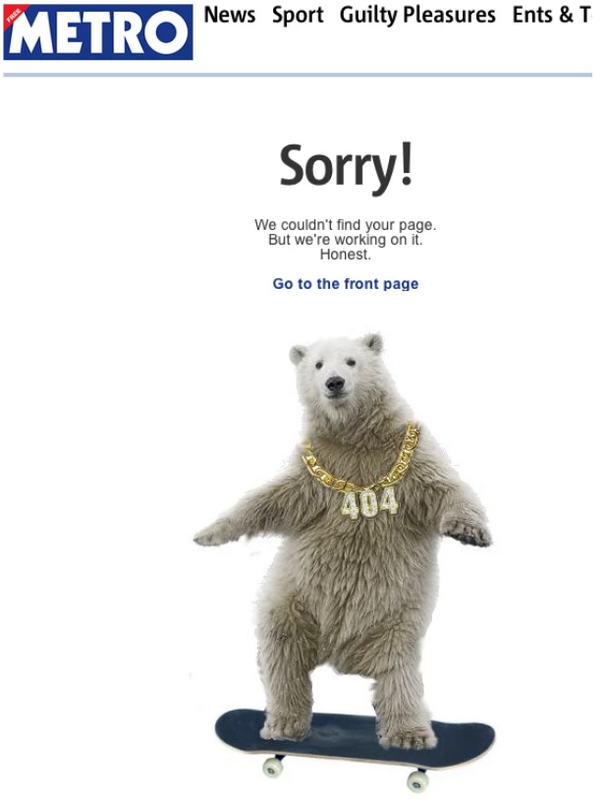 For example, Metro tells the user they reached an error page in a short, funny way. Why is it Important to use Microcopy? 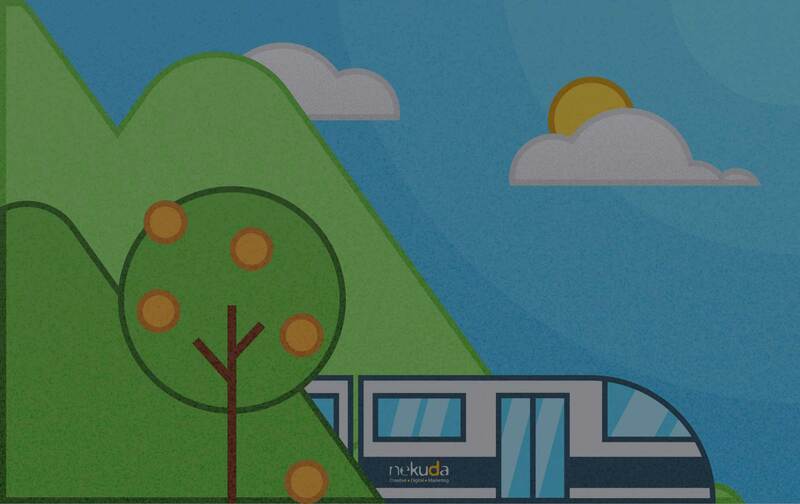 Struggling with navigation on a website is a huge factor causing users leave the site. If visitors can’t easily find what they are looking for, there is a greater chance they would leave it without even trying to do anything else. In some parts like buttons, links, instructions and error messages, microcopy can be used to guide the visitors and making them stay on the right path to a conversion. Important tip: keep it simple in central places where you welcome visitors (such as the websites’ homepage), don’t try to be funny or sophisticated there. Many websites try to show that their menu bar is smart when they really just make it hard for the users to find what they want. Stick to the normal and familiar format and keep the great punches to other places. When you think on improving a conversion rate you might decide to change the call to action (CTA) buttons, their design or their placement. It is not always a good idea. Try changing the wording a bit – it can be very helpful and improve conversions ratio. 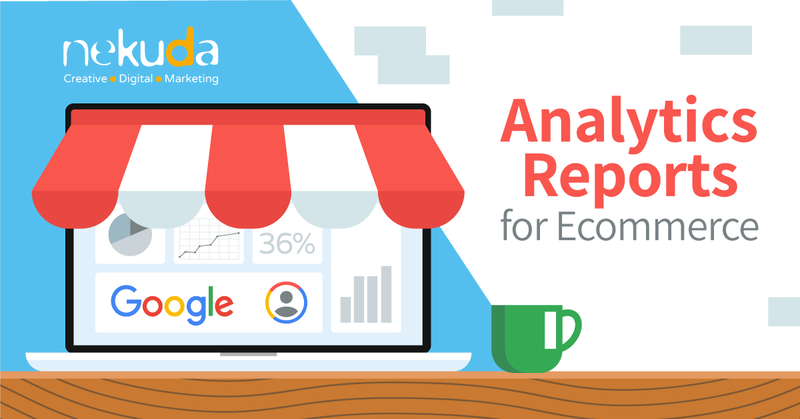 One of the most important things for users, especially in ecommerce sites, is the website’s reliability and trust. Potential buyers would skip the conversion part if they think the website isn’t trustworthy. Using micro copy can help the website make users trust it by promising them that their personal details are safe and protected. For example, a detailed error message for a user that has put his/her credit card number, explaining the problem (“Your credit card number is too long”) would make a better reliability than a general error message that doesn’t explain how to fix the error. In One week website there is a call to action on the signing up to newsletter button that highlights the value for the subscriber and helps improving conversion rate. 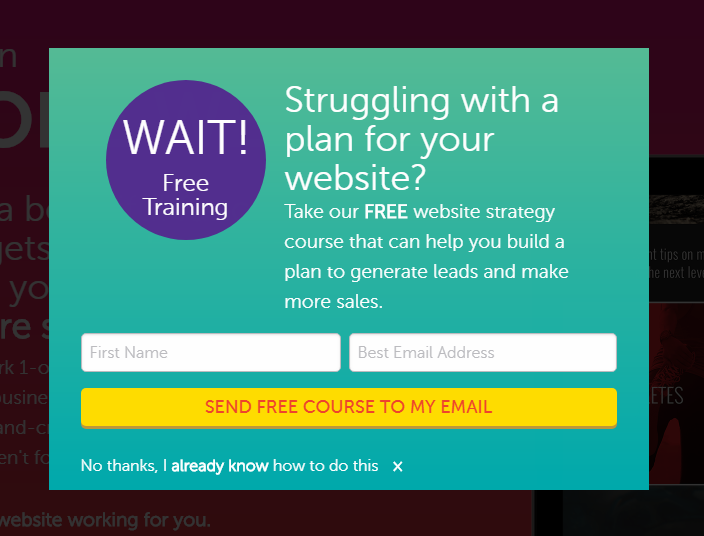 A newsletter sign up is a great place to use microcopy. One option to prevent the users’ concern of providing their email address is to let them know what they can get in return. You can tell them of discounts or just refresh the wording of a standard newsletter pop up. 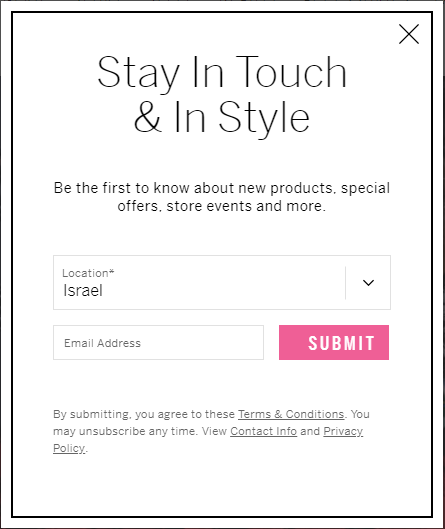 Victoria’s Secret tells the users what they get if they’ll sign up and encourages them to stay in touch. 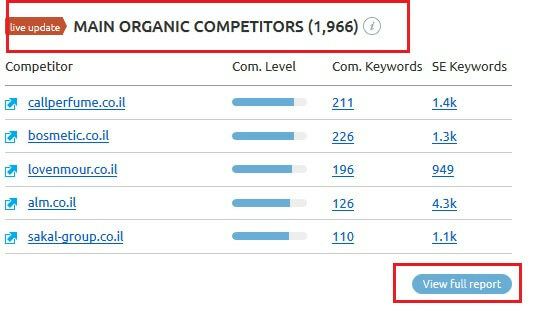 One of internet marketing challenges is trying to segregate the website from its competitors and give it a personality or a unique and distinct voice by using microcopy. Many brands use the short text pieces to highlight the brand, and even sometimes to show the less formal side of it. Don’t make too many jokes – a funny joke stops being funny at some point. Put the “funny” sentences in different and strategic parts of the website so users don’t bump into them too soon. Like salt, humor is supposed to spice micro copy and not make it impossible to swallow. Don’t try too hard – microcopy is supposed to be short and to the point. If you need to explain something in more than one sentence, then something is probably not clear in your interface. Besides, microcopy is a text that is put in small areas (buttons, fields), so take into account the graphic side of it and don’t exaggerate with words on a small button (it will not be readable on mobile). There are endless examples of UX writing and can be found everywhere; once you understand it you know it’s important for your website in order to create a unique brand and mostly to increase the conversion rate. Place user experience as first priority. Microcopy is a tool, not a goal. The goal is to make UX easier and efficient.